This page gives details about the 2019 Bushey Photographic Competition organised by the Bushey Museum and Art Gallery. 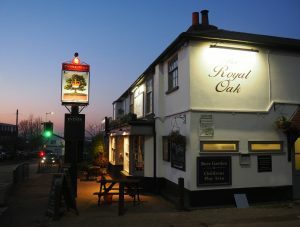 ‘Evening at the Royal Oak’ by Shirley Keates. A previous winner of the Bushey Class. The theme of ‘Emotions in Colour’ echoes the subject of this summer’s exhibition to be displayed in the Council Chamber. Details of the competition rules are available on the Entry Form which can be downloaded here Photographic Competition Entry Form 2019. The closing date for entries is 16 June 2019.